The picture perfect backdrop. For a picture perfect celebration. Two people starting a new journey. A company celebrating a milestone.A family celebrating its togetherness. Whatever is your reason to celebrate, here's the perfect place for the celebration. A one stop destination for celebrations of all kind, here you experience the perfect harmony of luxury and affordability. Tailored to fit dreams of all sizes, iLeaf Ritz Banquets matches budgets of all sizes as well. Located on Ghodbunder Road, and connected to important parts of Mumbai, it's is easy to locate and hard to forget. Why iLeaf Ritz Banquets ? You don't necessarily need to have a sky-high budget to get married or arrange an event. Located in the heart of Thane, 'Ritz Banquets' bring a rare combination of quality, luxury and value, all under- one roof. 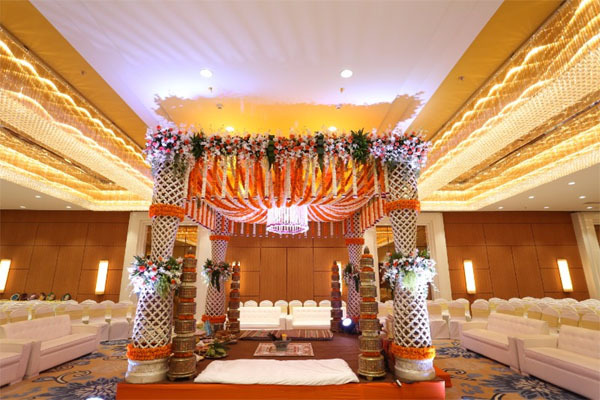 It's known to be the first-ever banquet hall in Thane, offering customized services - right from decoration to complete event management - everything under one roof. Two people starting a new journey. A once-in-a-lifetime moment needs a one-of-a-kind celebration. We are the best backdrop for it. A well-decorated lobby and aesthetically designed interiors ensure that the celebration looks picture perfect from the moment the guests step in till the end of the ceremony. Four smaller and flexible halls within a larger banquet hall make it the perfect venue for a wedding,whether it’s an intimate gathering of family or a grand extravaganza. Small in size but big on memories. That’s what family functions are. Four flexible halls in one large banquet hall, to fit in any family function. Whether it’s an intimate gathering or a grand family function, you can choose from the flexible halls that can adapt themselves to fit any number of guests, depending on your need. 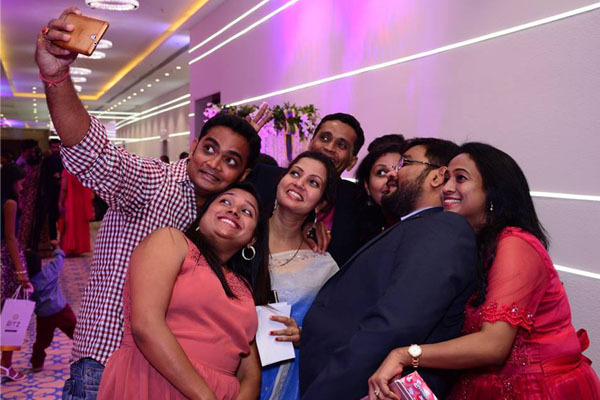 You can host a godh bharai, a birthday party, an anniversary celebration or a familyget together and watch the event come alive in the well equipped and beautifully decorated banquet halls. Professional looking but not cold. That’s what Ritz Banquets is. 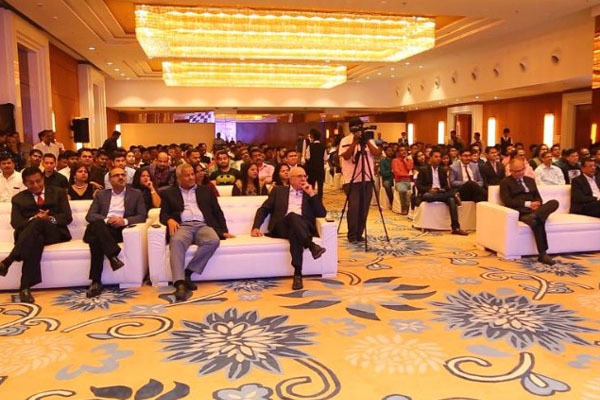 Enjoy the space of sprawling banquet halls with state-of-the-art amenities.Whether it’s a seminar, a retirement party or even a sales meet, it’s the perfect setting for the employees to come together and havea time of their life while making the company event a grand success. With a capacity to hold even 1500 guests comfortably,Ritz Banquets also makes for the perfect venue for an awards ceremony. Showcase any product, service or talent. Ritz Banquets has got plenty of space for that. 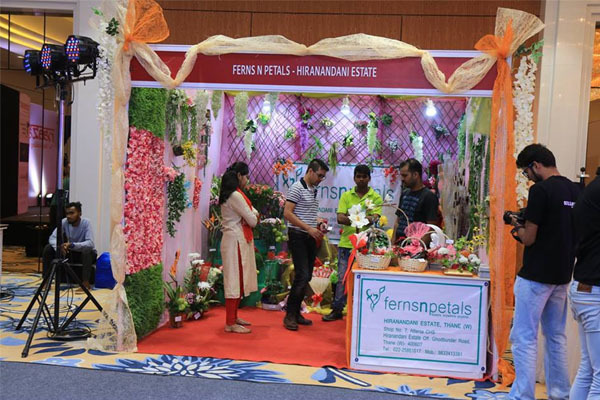 Host large exhibitions with ample stalls with utmost ease. Ritz Banquets is just the canvas you need in all its glory. Sprawled across 30,000 sq. ft. (Built up Area), it’s got space to set up stalls, kiosks and panels; while still having enough room for guests to walk around and take a look comfortably.